DSF: Market Outside the Box is back! If you love shopping, but you are over being stuck inside a mall, then Market Outside the Box is the place to relish in some retail therapy, while being out in the fresh air. Dubai Shopping Festival (DSF) is bringing back one of its most popular events, Market OTB. 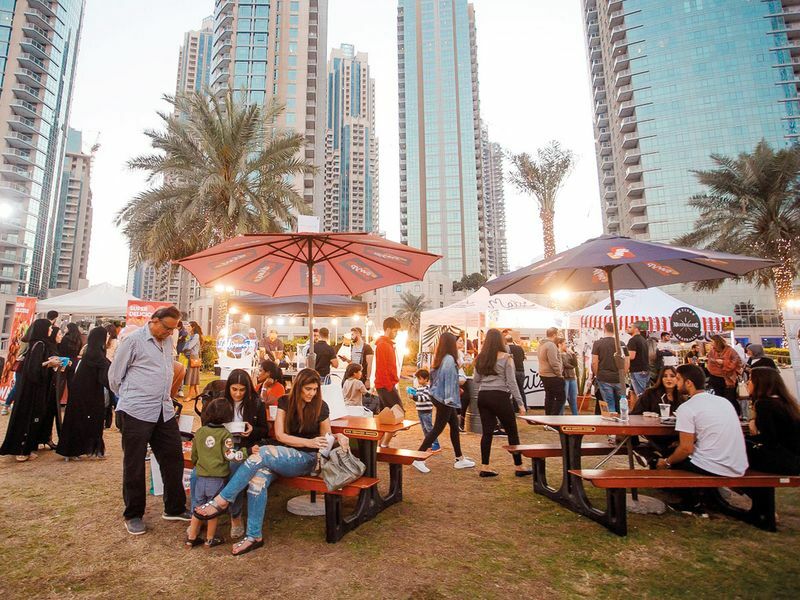 It kicks off on January 24 and runs until February 2 on the lawns of Burj Park. Returning for its 6th year, Market OTB will feature designer pop ups, live entertainment and street food trucks. The grass roots-led initiative will host some pretty cool vendors across the 10-day showcase. Al Hambra, a traditional Spanish eatery has now introduced a tapas menu to the mix. With an ambience resembling that of a bustling Valencian tavern, this restaurant is a little Spain in the heart of Dubai. Favourites on the menu include the Croquettes de Pollo, Patatas Bravas, Calamares a la Andaluza and Costillas de Cordero a mi Estilo Moruno – lamb cutlets marinated in Spanish flavours. Whether you want a light lunch or order everything on the menu for the ultimate feast, these Spanish dishes are a must try. FN Designs, an art and design studio, is hosting “Storytellers”, a new art exhibition featuring some of the recent masterpieces by artist Yiannis Roussakis. The “Black and White” portrayal of his inspiration will be displayed until February 28. Primarily a photographer, and a storyteller himself, Yiannis is creatively playful. He conceived his “POP UAE Collection” as an attempt to link traditional themes with contemporary design. From Cambodia and Ladakh in India, to Al Gharbia in the UAE, Yiannis photograph subjects tell us a common story, that of human beings linked by the very same simple pervasive questions of the purpose and meaning of life. Billionaire Mansion one of Dubai’s most popular and loved nightlife venues is hosting a weekend ladies night. A night of dancing, beverages and fun. With music from resident DJs keeping you on the dancefloor all night long, it’s a night not to be missed. Ladies receive complementary beverages between 10.30pm to 3am. It’s that time of year again – when residents in the UAE focus on their fitness goals for the New Year! Figured out what your 2019 fitness goals are but not too sure how you’re going to hit them? Try Class Pass a fitness membership, with over 150 studio options with more than 1,000 accessible fitness classes right at your fingertips and now you can access them for free for two weeks. Whether you want to build muscle, lose a few inches or simply find a bit more balance in your life, download the ClassPass app from the App Store and Google Play Store. The Hideout Dubai launches brand new club nights with 90s pop band 5ive on January 24. Taking to the stage with their biggest hits, the entertainment packed trio - Scott Robinson, Ritchie Neville and Sean Conlon promises to leave no chart-topper unturned with all-time favourites from ‘When the Lights Go Out’ to ‘Keep on Movin’. Don't miss this late lunch, early dinner fiesta at La Tablita featuring Chef's choice of ceviches, tacos, homemade caldos and desserts – and basically an all-round colorful array of Mexican goodness! Buffet will be served family style ‘to the table’, with favorites being guacalome and churros! Enjoy authentic Mexican beverages to start the party early this Friday. If you are looking for a perfect gift this Valentine’s Day? Why not treat your person to a romantic getaway instead. Head to Jordan to treat your eyes, mind and body with some extra love. Indulge in the healing and soothing mud of Dead Sea while exploring old and new attractions in the city. We recommend a two-night stay at the Dead Sea. Why not try the Hilton. They are offering up to 25 per cent off on bookings, so why not go ahead and book your Valentine’s Day experience for the weekend of February 14. 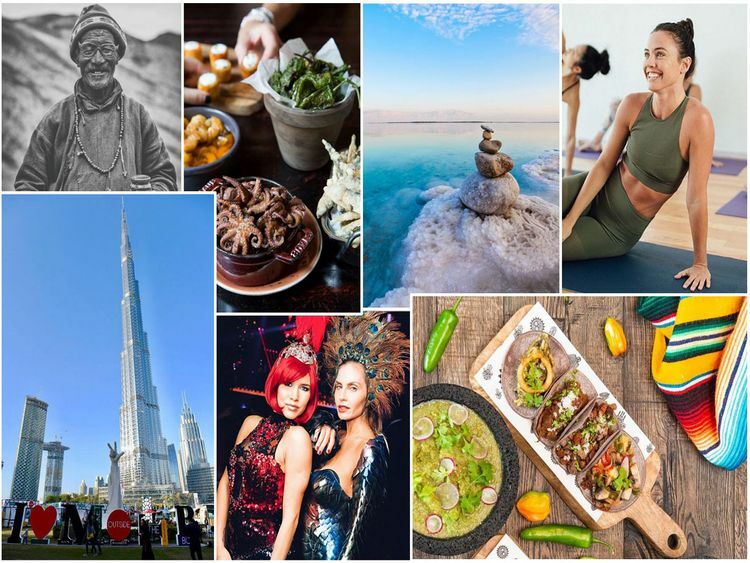 The DXB sessions, each one based on a different Buddha-Bar venue, will welcome Buddha-Bar Saint Petersburg to Dubai this Friday, bringing with it new music, new food and new signature beverage experiences. Get ready for an evening of innovative electro beats, world-class food with a fusion of different flavours and a number of handcrafted beverages. They will also be serving up some Russian-style dishes straight from the Saint Petersburg menu. Favourites include tuna tataki with tiger milk and black caviar, a succulent skirt steak with truffle sticky rice and for a sweet ending, the coco and passion mousse and matcha strawberry tart. Reflecting the Italian way of romantic dining and socialising, this brunch is all about the theatrics. The brunch will also feature some of all’onda’s most loved dishes, served sharing style, directly to the table. It includes sushi, cicchetti pass around dishes such as baked stuffed mushrooms, spaghetti carbonara and tomato rigatoni, as well as truly indulgent desserts such as green tea-misu and cherry merengue, to the sounds of classic Hip Hop and RnB beats from DJ Mitchell. Sitting on top of the Emerald Palace Kempinski Dubai, all’onda’s Venetian restaurant and outdoor terrace has views of the Dubai skyline and the Arabian Gulf, and is the perfect location to celebrate a special occasion, to party with friends, and anyone wanting to wine and dine in style. Costa Coffee UAE is kicking off the year with a brand-new limited-edition collection, set to satisfy coffee lovers with a sweet tooth. Available in all the Costa stores now, the new Spanish Latte range is available hot, cold or as a Frostino option, each drink is made from a blend of Mocha Italia beans, which is mixed with sweet silky milk. Coffee fans can sip it in the traditional way – Classic Spanish Latte (Dh18) or go wild with a Salted Caramel (Dh23.50).